Whenever people mention high quality optics and clarity, usually Zeiss ends up in the conversation, and in fact, many times people will describe optics as being as clear as a “Zeiss”. The reputation of the Zeiss glass is very well known and all of the Zeiss glass that I have looked through tends to live up to that reputation. But, does Zeiss make a scope that meets the needs of the tactical shooter as well as have superior optics? 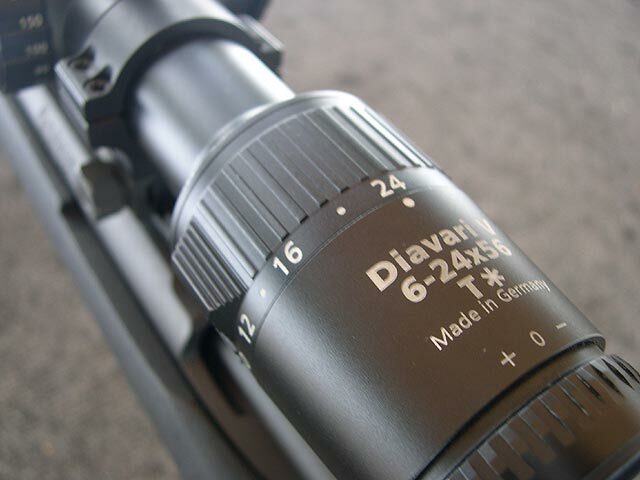 We have for review this time around one of their high end scopes, the Diavari V 6-24x56mm T, to find out if this particular scope might be the one for serious tactical use. The first thing we notice with this scope is that we are dealing with quality; everything has a feel of precision and quality on the scope. The finish is a low reflective matte but with a little bit of luster to it, so not as matte and dull as other tactical scopes, but certainly still matte and serviceable for field work. The finish is very even and universal everywhere on the scope and appears to be quite durable. The tube is a single piece 30mm tube that has a good heft to it and a nice shape. There is an interesting step up to the shoulder area which is a bit different but by no means is there anything wrong with it. The shoulder area itself has a fairly rounded shape to it that sets the knobs up fairly high which I like, as it allows you to see the knobs and the marking indicators easier from behind the scope. The scope is fairly large with the 56mm objective and 30mm tube, but not overly large like some other higher end tactical scopes. The scope is a variable power with 6x on the low end and a full four times higher on the high end with 24x. The power ring is on the leading edge of the eye piece and has serrations on it as well as a raised finger knob to aide in gripping the power change ring. The power ring itself takes a decent amount of force to change so you know it should stay in place and the required amount of force is even throughout the range. The dial is also very smooth. There is also an adjustable diopter in order to focus the eyepiece to your eyes. This adjustment is also smooth and covers the entire range in about 1.3 turns. When adjusted fully out there is no slop or movement and the adjustment cover a wide range of eye focus. The entire eye piece with zoom adjustment and diopter adjustment is well designed and very well built. The tactical knob design on the Zeiss scopes is one of my favorite as I like the higher profile and the flat top knurled ends. They are easy to read, have plenty of area for markings and are easy to operate in all conditions. The clicks are very tactile and you can feel them through gloves, though strangely, the elevation knob has no real audible clicks but the windage knob does. I’m not sure if that is intentional or not. They are solid and precise clicks though. Another interesting thing about the knobs on this scope is the markings. Each click is .5 cm (at 100 m) but on the elevation knob the markings are whole numbers every 10 clicks (5 cm’s). So on the knob, the number 1 equals 5 cm. Normally on metric knobs each whole number means a decimeter (10 cm’s) or 1 MIL if you want to think of it that way, and that makes tracking your adjustments easy like you would expect. But with these knobs you will need to remember to cut the number in half. 4 on the knob means 2 MILS or 20 centimeters. 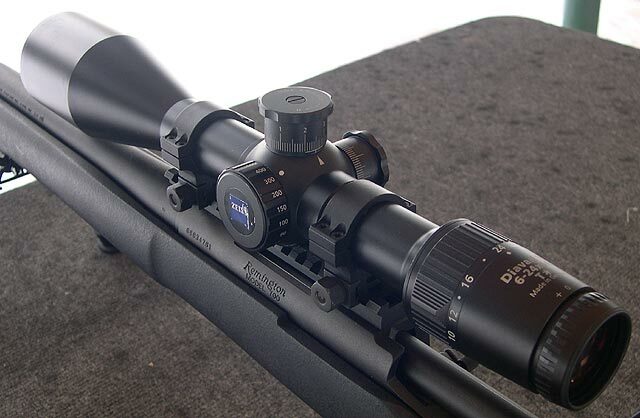 Zeiss does offer bullet drop compensator knobs on this scope and those would help make the odd markings a non issue. Well, to top the elevation knobs, the windage knobs have no numeric markings at all besides the one lone “zero” (0) marking to give a reference point. But if you come right or left 1.5 mils, that reference is completely rotated out of view and you are on your own in terms of remembering where you had your windage knob set at. In my mind this is not a very good thing and I would probably have some custom knobs from Kenton made up for the scope. One last thing on the knobs, there is no visual indicator from behind the scope as to which way is up in terms of the elevation knob, or right in terms of the windage knobs. 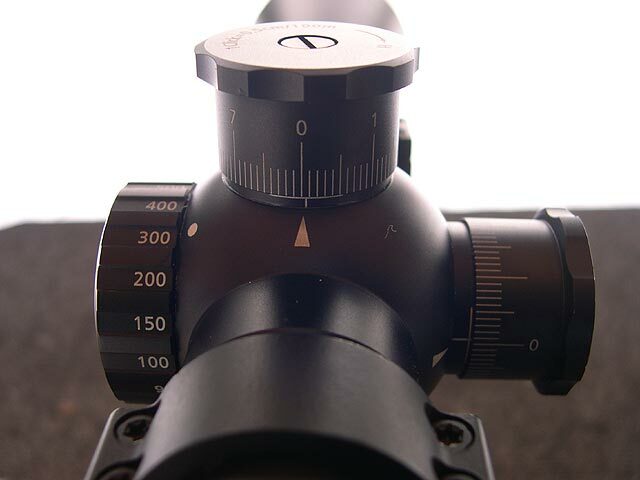 There are markings on top of the knob, but nothing visible when the operator is behind the scope. The elevation isn’t that big of a deal because the knobs obviously count up in one direction, but on the unmarked windage knob, you’ll need to remember. Of course, if this is your primary duty optic that you always use, you’ll have it burned in your brain in no time. There are nice horizontal hash marks under the elevation knob that do give you a visual indicator of how many rotations up you have gone. On the elevation knob each rotation is 8 full markings or 40 cm’s (4 MILS) and there is a total of 4 full rotations, making 160cm’s (16 MILS). That is 56 MOA from the factory, and if you are shooting a 308 and would like to zero from 100 to 1000 meters, you will probably need a 15 or 20 MOA base which we used on our test rifle and we were able to zero at 100 yards, though your situation may be different depending upon your rings, bases, and rifle. Now, I have absolutely no complaints about the side focus knob. It is very smooth to operate, has some mild serrations to help grip, it is fairly low friction to allow of easy adjusting, but there is enough force required to keep it from easily moving on its own during use. It is also very rare to see a focus knob that is evenly marked from 200-1000 meters at each 100 meter increment. It is broken down to smaller increments under 200 meters, but the wide adjustment range allows for very precise focusing at each range which was remarkable when in use. It really allows you to maximize the excellent optics on the scope. Speaking of optical quality, it is excellent on this scope. It is certainly in the very high end category with other scopes such as the Schmidt & Bender glass. The glass is one of the things that Zeiss is known for and this scope backs it up very well. It was exceptionally bright and clear in all conditions we tested it in. There were no problems focusing at any range and the contrast was very good as well as the light gathering in low light conditions. The reticule is a standard Mildot reticule of what appears to be US Army dimensions (.22 mil diameter dots). It is always refreshing to me to see the traditional mildot reticule as that is what I was trained on and there is a comfort level there, but also, it is very clean and business like and not over cluttered like some of the new generation reticules can be. The one thing that actually caught me by surprise was that it is a 2nd focal plane reticule, meaning it does not grow and/or shrink when zooming in or out. It also means you must be at one specific magnification power for the mildots to be accurate. The reason this surprised me was because most European optics are 1st (or front) focal plane reticules, especially on the higher end optics. 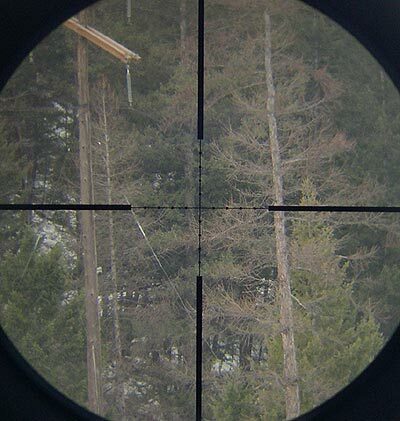 There are pros and cons for both methods, but FFP is usually a more sought after feature on high end tactical scopes. There is also an Illuminated Reticule available, but this test scope did not have that feature. Mounted on our Remington 700P mule rifle with a 20 MOA tapered one piece base, the scope functioned as you would expect, precise in all ways. To check repeatability on the adjustments we shot it through the box (one group, move right another group, move down, etc until a box is shot with the 5th group back on top of the 1st) and everything checked out fine. We tested it in about 35F degree weather with no fogging problems or other cold weather issues, though 35 really isn’t that cold. Functionally everything was great, which we had no reason to expect otherwise. So, how does this scope stack up as a tactical scope? Not bad, but not great either. The optics are fantastic and will rival any scope on the market and there is nothing bad I can say about the optical performance of the scope. Unfortunately, the whole knob situation turned us off a bit. If it was a scope I was putting on a duty rifle, I would probably have some custom knobs made for the scope, which you wouldn’t think you would need to do on a $1800 scope. 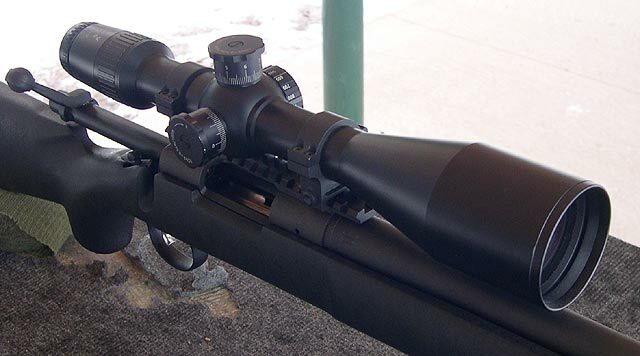 It could probably stand to use another 10-20 MOA of adjustment if you were using it on a rifle for extreme long range work beyond about 1200 meters, which optically this scope would be ideally suited for. The reticule not being in the FFP is not much of an issue and some operators prefer it in the 2nd for some creative range estimation techniques. So, overall, the scope is fantastic functionally, but could use some work on the details in terms of making it a great tactical scope. I saw this sniper scope on a video game and you can actually attache it to an assault rifle and it was really cool at that game. Can you really combine this scope to an assault rifle in real life? 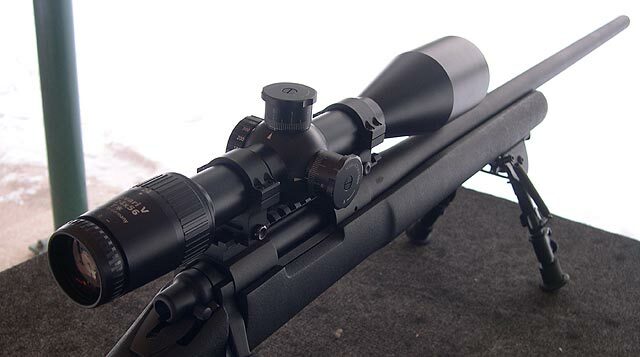 I saw one of my uncle to use this scope with his rifle, after reading this review I can say , really it is one of the best scopes with high magnification power. How much is it nowadays ? They run several thousand US dollars. But they are excellent. Really in depth and comprehensive review. Definitely the next scope I am going to get for myself. Wasn’t really sure if it’s worth the money, but I guess you can’t really go wrong with Zeiss. When you say you would get some custom knobs for that scope, what exactly did you mean by that? Zeiss optics…my favorite for rifle scopes and camera lenses. Amazing clarity. This one looks like a gem of a scope. I have Zeiss before. It is really great choice for gun newbie, but price looks a little high. Very good review article.Zeiss optics very well among others.It’s very accurate. I have visited this review a couple of times for reference since I have this exact scope. I have to say the knob issue was bugging me until I went to Custom Turret Systems website. After spending some time, I set up an account and started playing with their template. Instead of creating a new lable for my specific round, I came up with a new true mil markings that would allow me to use this scope like mil on mil scope. It worked great and now the numbering on it is mil based,normal. You were getting .05 mil / click cause you were on 24x. Reticle reading is on 12x on this SFP scope. On 12x the turret marking will fit right on. after adjusting magnification from the suggested for environment down to lets say 12X, Is there a formula for adjusting the elevation (clicks) for 100 yds or just follow the table? Also, how much is each click relevant to at 100 Yds?